with Stalgard Coating for Additional Corrosion Resistance (PDF). Made from durable weather tolerant black ABS plastic painted with UV protection, and will provide many years of use and protection. The same materials are used to manufacture parts for exterior use in the automotive and boating industries. Manufactured with an integral gutter that diverts water out and away from buildings. 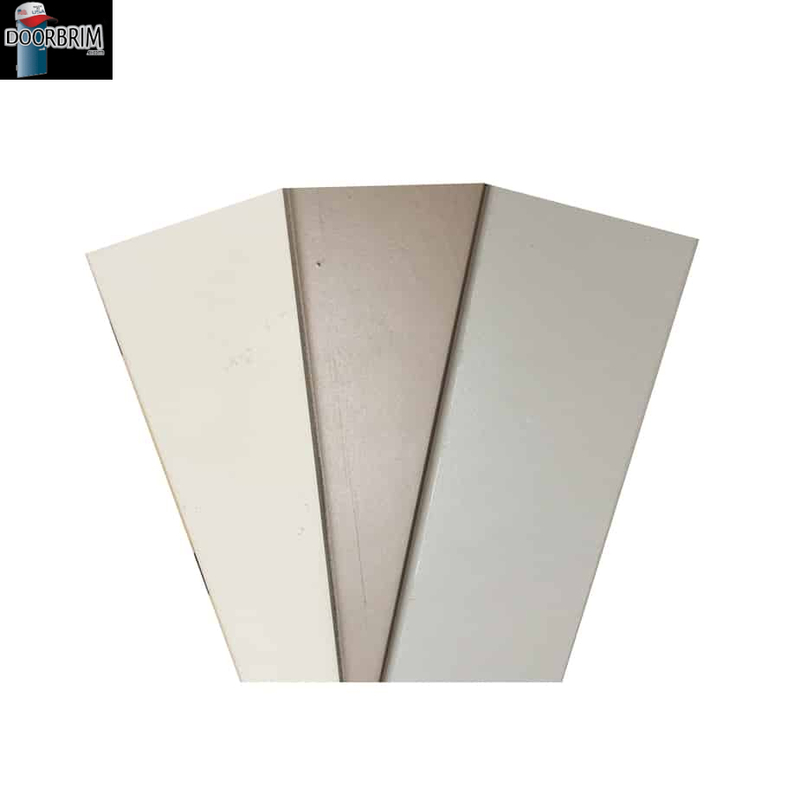 Size: 56″wide, 7″ high and protrude 7″ away from your building structure. Available in standard colors of almond, gray, or beige. Easily painted your own custom color. 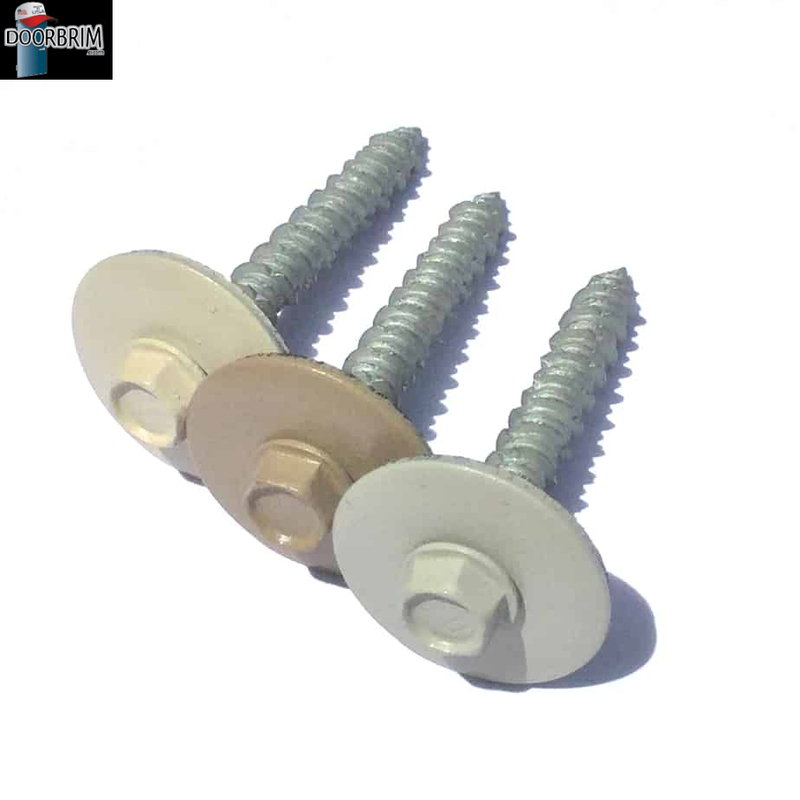 Come pre-drilled and fasten easily in a simple bed of caulking with included stainless steel fasteners. Installation on rough or uneven surfaces like brick, rough texture stucco, tilt up concrete or metal buildings, are possible with an (optional) combination of closed cell foam butyl rods and structural caulking. Discourage mold by preventing water intrusion and extends the life of doors, jambs and hardware, while preventing costly and premature repairs. Contain GREEN qualities as ABS plastic is fully recyclable. Best of all, Door Canopies by DOORBRIM Awnings are 100% Made in America !!!! !